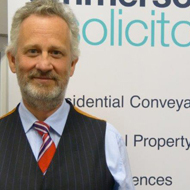 Recently the staff at Emmersons Solicitors have been considering what our offering to clients is like, in short why choose Emmersons Solicitors? What has become evident is the amount of pride that our staff take in their work. They all want to do the right thing for our clients and do it well. Take Rachel Smith for example. Rachel has been with us for nearly two years. She has specialised in Family Law for over ten years. She left the North East to go and work in London not long after she qualified as a solicitor. Rachel is very good at what she does, I would say that she is kind to our clients, she also works very hard on their behalf and more importantly she knows her stuff. When I asked Rachel why she thought her clients chose Emmersons Solicitors she said she felt that for most of them it was a relief. Many of her clients at the end of their first meeting with Rachel tell her that the experience was not nearly as bad as they thought, after all who does want to visit a divorce solicitor? Most felt that Rachel was there for them and would support them. As a Family Lawyer being there for your client should not mean “fighting” for them. At Emmersons we don’t encourage our solicitors to be bolshy in order to reach a decent settlement. This can often be best achieved by investigating all available financial assets thoroughly. Being able to spot the gaps in information provided by our client’s spouse or partner is a very important skill. As is being able to summarise exactly what is available to a separating couple and negotiating a deal that is fair to our clients. That said we are not there just to be nice to the other party. There is little point in being nice to the extent that our client walks away with an unfavourable deal. Let’s take the example of Marj. She is in her late fifties, works part-time, the mortgage is paid off and her husband Steve has left her to live with another partner. The other person could actually be male or female, this will not affect the financial outcome. If Steve works full time and has a good pension he may offer Marj half of the house and eg. 25% of his pension. It is our job to point out to Marj that in ten years time she may find herself in debt. Is she going to cash in her own small pension now to buy out Steve. Or is she going to have to buy a smaller house with all the necessary expense that would entail? If Marj uses all of her savings to support herself now she will find it difficult to fix the roof or the boiler in a few years time. She will leave herself with very little for her care in later life. As you can see it’s not just about what’s going on now, it’s necessary to take into account all of the possible variables that our clients will face in the future. I note that a number of solicitors are keen to promote the fact that they are in the Legal 500. External persons are asked to make comments about the solicitor and the solicitor often pays money for the organisation to promote those quotes. Meanwhile back in Rachel-land, she just quietly gets on with doing a good job! There has been great debate about the fact that if everyone attended mediation there would be less cases in court. Yet when I asked Rachel a few months ago how many of her clients were currently involved in contested court proceedings the answer was two! That indicates to me that she is a good negotiator. Her aim is to reduce the uncertainty and stress for our clients by keeping them out of court. However, for some clients it is necessary to issue court proceedings in order to settle their case. Rachel is able to recognise when that is necessary and thereafter support her client throughout their case. If you think that Rachel Smith can help you then don’t hesitate to give us a call. Whilst everyone is an expert on crime and punishment (just as they are on education and healthcare) it is very frustrating to listen to Mr Gove and then Mr Cameron announce reform to the prison system because the current system isn’t working, because it was successive Governments (but mainly the Conservative Liberal Democrats and now the Conservatives) but especially Mr Grayling (the former Lord Chancellor and Secretary of State for Justice) who cut the prison service and probation and court service and legal aid. Having worked as a Solicitor since 1992 it is my clear view that victims of crime can only receive Justice if the Justice system is properly funded. The image of prisons being cushy hotels where X-box’s and Sky Sports and other luxuries make being incarcerated a real joy is wrong. Prisons are a nightmare. I have visited HMP Northumberland and been told by staff that the daily regime involves 23 hour lock-up and the abuse of Spice by prisoners. Spice is a legal high that is freely available in prison. There are not enough prison officers employed to make prison work. The Government privatised the community based punishment regime-apparently on the basis that if the scheme operators were successful then they’d get paid. Goodness knows how that is going. Prisoners need access to courses to address issues to do with literacy. They need to attend courses to consider offending and how to stop offending and to consider why they ought to stop offending. They need to learn empathy. This needs to be funded. There needs to be more probation officers so reports can be delivered to courts much more quickly. Courts need to be allowed more sitting days so cases can be dealt with much more quickly. The Courts Service needs to be resourced properly. Rehabilitation of offenders can work if it is funded and managed properly. As for Court and Tribunal fees, the Government appears to believe that the Justice system is something it owns and to which people can gain access if they have the correct amount of cash. Having created No Win-No Fee successive Governments have complained when cases are brought to Court. The Association of British Insurers whinges about the number of cases brought for road traffic related claims and promises to lower insurance premiums when, in fact, premiums have gone up. Tribunal fees were introduced to stop people playing the system in Employment Tribunals. Legal aid was removed for DWP related claims. The Justice system does not belong to the Government. It belongs to all citizens. All citizens should be able to access it and obtain proper advice and representation. It is the Government’s responsibility to ensure that this is facilitated. It is not the Government’s job to build barriers to Justice or to protect the interests of a lobby group such as ABI. In Crown Court cases a successful defendant who has had to fund his own defence and who has been acquitted is not fully remunerated. Why should someone be out of pocket when the State, through its agents the Police and Crown Prosecution Service, fails to convict? Today the Justice Committee is reviewing with lawyers and Ministers the fees imposed to taking a case to Court or to a Tribunal. I have no doubt the Minister will say that the fees are necessary to stop fallacious claims and that it is right that the Tribunal and Court system should not be a burden on taxpayers. The best way to stop fallacious claims is to allow a claimant access to proper legal advice and for Court or Tribunal to award costs against a loser.